Thor: Ragnarok is easily one of Marvel Studios’ most enjoyable films. As you watch the trilogy, the new direction of Thor, Hulk, Loki, and the rest of the crew make them seem less wooden this time around. In other words, every character has a personality now. That’s because director Taika Waititi as he infuses much of his comedy to this film. From beginning to end, the film is a non-stop barrage of hilarious jokes and gags. As you watch it the second time around, you’ll still laugh at the same jokes. However, there are other jokes don’t hit the second time around. Thankfully, the new characters are still a delightful addition to the franchise. Their scenes are still the most entertaining aspect of the film. Unfortunately, after multiple viewings, Hela is still a one-dimensional character. It’s still impressive to see how good Chris Hemsworth’s comedic timing is. There’s just something about Thor acting like a foolish brute that just seems to fit together. 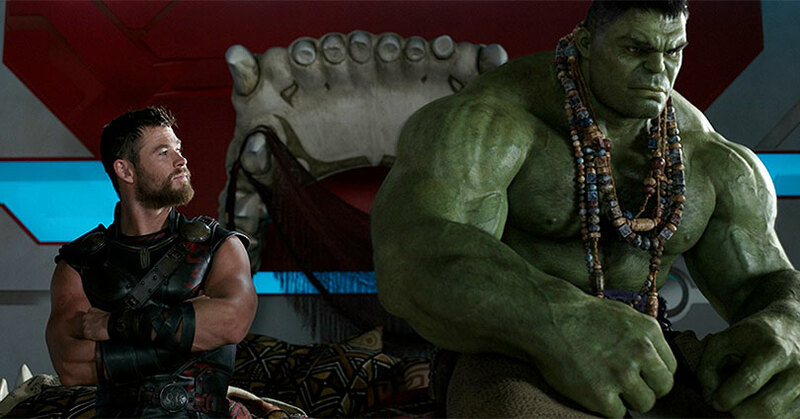 Mark Ruffalo is also hilarious as the talking Incredible Hulk. The banter between him and Hemsworth is really funny. Tom Hiddleston is really funny, charming, and arrogant as Loki. Unfortunately, Hiddleston’s comedic timing is quite as good as Hemsworth’s. 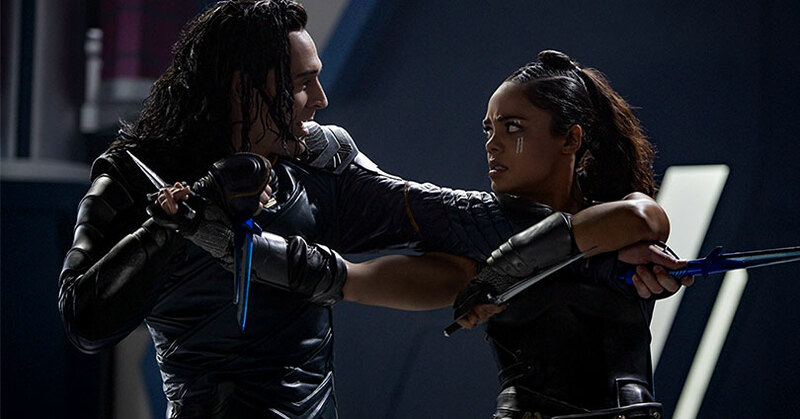 As for the new cast of characters, Tessa Thompson’s Valkyrie is easily one of the best additions. For a new character, there are so many layers to her character. As I mentioned above, Hela is such a one-dimensional character. It’s a shame since Cate Blanchett could’ve done so much more with her character. 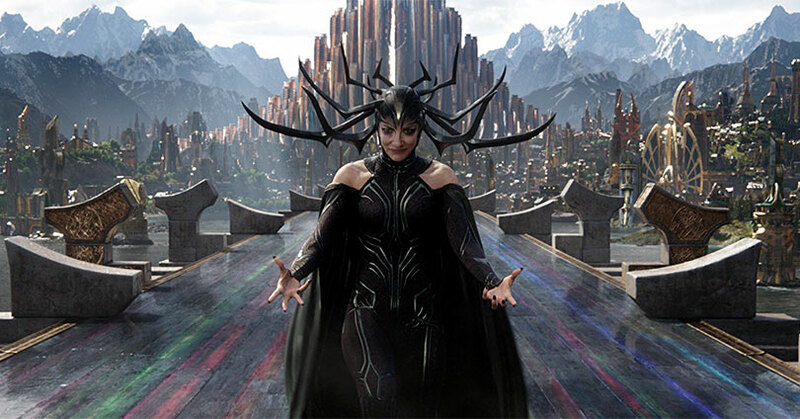 Be that as it may, she’s still so incredibly menacing as Hela. You definitely don’t want to get on Blanchett’s bad side. Don’t expect to see a lot of Karl Urban in the film either. Believe it or not, there is a decent amount of character development for Skurge despite his lack of screentime. Thus, Urban is able to do quite a lot in the role. Finally, there’s Jeff Goldblum. As the Grandmaster, Goldblum is able to take this role and ham it up big time. Even after multiple viewings, he’s one of the most memorable characters in the film. As I mentioned in my original review, Thor: Ragnarok is an extraordinarily entertaining and enjoyable Marvel film. From beginning to end, Hemsworth and company will thoroughly entertain you with the comedic style and visuals of Taika Waititi. Although it’s not a perfect film, it’s still the kind of freshness that the franchise really needed. It’s just a shame it couldn’t have come earlier. NOTE: As the Blu-ray changes to Chapter 17, the video repeatedly freezes while the audio still plays. Every copy is hopefully different, but if you get the same glitch then you are not alone. Thor: Ragnarok hits 4K Ultra HD with an HDR10 4K transfer and a 2.39:1 aspect ratio. The Ultra HD Blu-ray is a slight step up over the regular 1080p Blu-ray. Although the regular Blu-ray still looks good, it’s a very bright transfer. Fortunately, the HDR tones down the brightness while keeping the black levels nice and dark. Though, here are some scenes, where the blacks are that milky gray. Unsurprisingly for this film, the colors pop more in the Ultra HD Blu-ray than it does in the regular Blu-ray. The colors are vivid and nicely saturated. For your information, there are several scenes where the colors are dull but this is by design. The film is also extraordinarily clear. From the junky environment of Sakaar to futuristic regalness of Asgard, everything is just so clear. The downside of all this is that some of the CGI begins to look soft around the edges. Also, you can see the artificial CGI. Overall, this is a great video presentation. 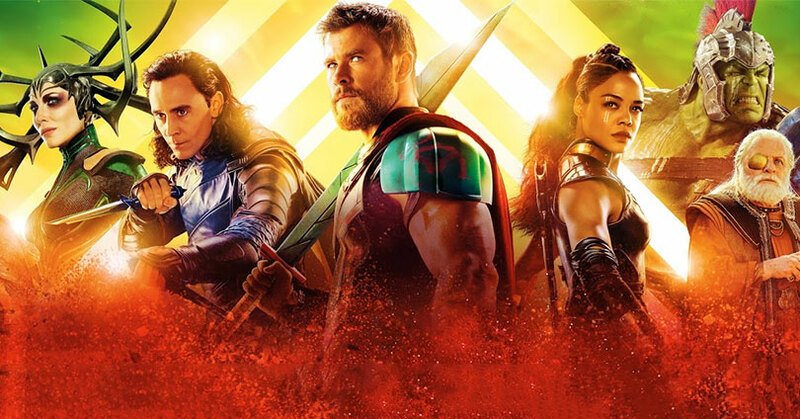 Thor: Ragnarok hits 4K Ultra HD with a Dolby Atmos and 7.1 Dolby Digital Plus track. The review will reflect Thor: Ragnarok‘s 7.1 Dolby Digital Plus track. The surround and rear surround channels effortlessly weave the environmental effects and score into the soundstage. It never overpowers the front and center channels and immerses you in the film. The directional effects also seamlessly transition from one speaker to another. These effects don’t happen a lot though. Additionally, the front and center channels clearly convey the dialogue even during the craziest of action sequences. Overall, this is a really fun audio mix. The special features on a Marvel Studios home release are some of the best out there. That tradition continues here with Thor: Ragnarok. First, Team Darryl is one of the most notable special features on the disc. It’s not as funny as the Team Thor shorts, but seeing The Grandmaster with Darryl is still funny. The same can be said about the gag reel for Thor: Ragnarok. In other words, the film is so funny that the gag reel won’t be at the same level as the film itself. In addition, the featurettes are all done well too. Although you won’t learn much about the making of the film, you’ll learn about the rich history of these characters. In fact, “Finding Korg” is the funniest featurette on the list because of how hilarious Taika Waititi is. “Marvel Studios: The First Ten Years” is your standard breakdown of the history of Marvel Studios’ characters. Keep in mind that you won’t see anything new from Infinity War in this. The deleted scenes are all insignificant with the exception of the Grandmaster and Topaz scene. As for the rest of the special features, they’re all optional viewings. Overall, Thor: Ragnarok is the most fun you’ll have watching a Marvel Studios film. It’s not perfect (see: Black Panther) but it’s the best Thor film that Marvel has ever made. The video and audio presentation are as excellent as you might expect from a Disney Home Entertainment release. Despite not learning much about the filmmaking process, the special features are still incredibly fun to watch.